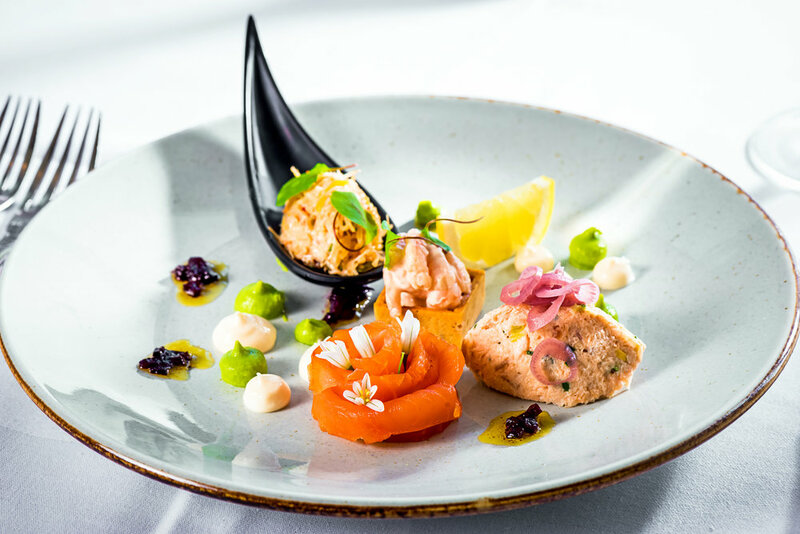 We worked with our client at the Mulranny Park Hotel in Mayo to showcase the best of their dining offerings which including the dining experiences with the Nephin Restaurant. The critically acclaimed Nephin Restaurant overlooks Clew Bay & offers cuisine and service of exceptional levels. Dining in the Nephin Restaurant is an essential part of the experience of staying with Mulranny Park Hotel. Overlooking the Atlantic Ocean with spectacular views of Croagh Patrick, the Nephin Restaurant serves world class cuisine in a unique setting. In such incredible surroundings, you'd expect nothing less than incredible dining. The Mulranny’s chef, Chamila Mananwatta, is cooking some seriously lovely food – onion and coriander pakora with curried lentil soup; Gerry Hassett’s oak smoked salmon with red amaranth; Curraun Blue trout with carrot and lemongrass purée; corn-fed chicken stuffed with white pudding and chorizo with crispy poached egg. As with his predecessors, Mr Mananwatta’s food is particularly pretty on the plate – a joy to look at and then a joy to eat.